“Death with Interruptions,” by Grammy-nominated composer Derek Bermel. E4TT (Ensemble for These Times) consists of composer David Garner, soprano Nanette McGuinness, pianist Dale Tsang and guest cellist Anne Lerner-Wright. E4TT focuses on 20th and 21st century music that is relevant, engaging, original and compelling—that resonates today and will speak to tomorrow. The ensemble strongly believes in the power of artistic beauty, intelligence, wit, lyricism, and irony to create a deep understanding of our times and the human condition. E4TT was formed in 2007/8; recent highlights include: appearances at the 2016 Krakow Culture Festival, a tour to Hungary in 2014 sponsored by the U.S. Embassy in Budapest as part of the Daniel Pearl World Music Days; the world premiere of Garner’s Chanson für Morgen in 2011 at Trinity Chamber Concerts, produced in association with the 26th Jewish Music Festival; European debut in 2012 with the Jüdische Gemeinde Berlin, and concerts at the German Consulate General in SF, Old First Concerts, JCC Peninsula and Noontime Concerts, among others. 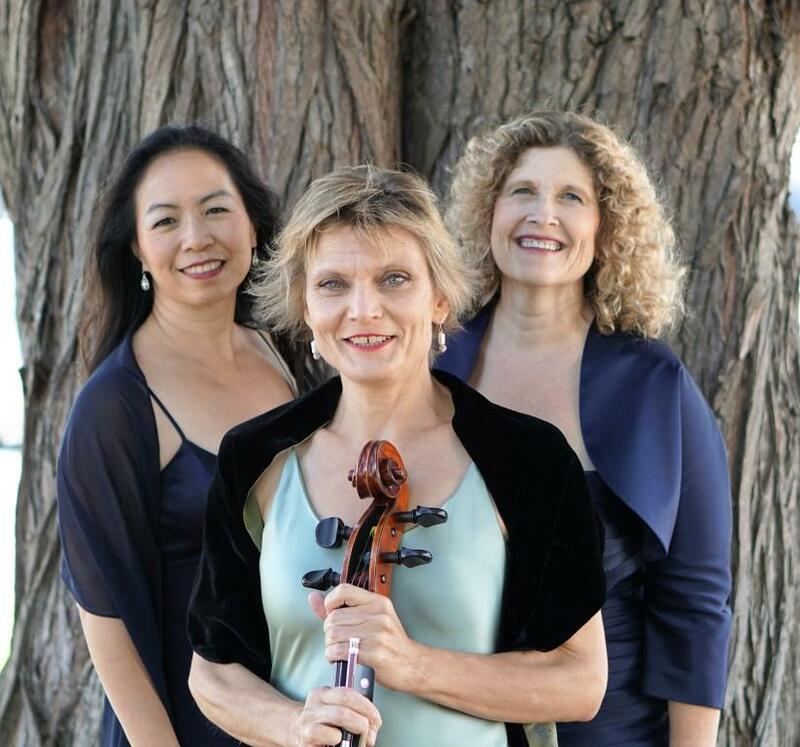 Fiscally-sponsored affiliates of the SF Friends of Chamber Music since 2011, E4TT has premiered 15 commissions and arrangements, including 5 by Garner. At the start of 2016, E4TT held its first-ever Call for Scores and was honored to receive 275 works from over 200 talented composers. The ensemble chose 56 pieces by 54 of composers, for performing over the next two seasons. Today’s program features the three of those excellent works.